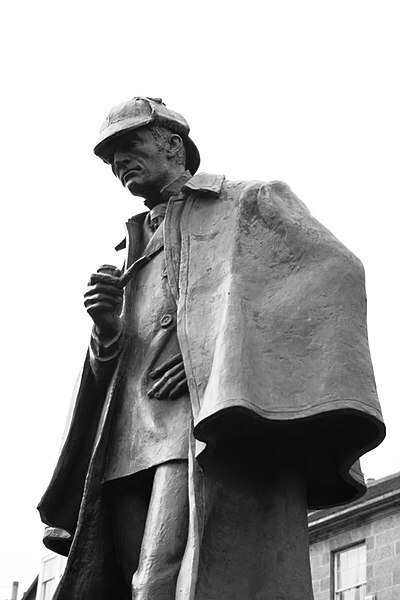 Statue of Sherlock Holmes in Edinburgh. Author:Siddharth Krish. Source: Wikimedia Commons. No other character has been beloved generation after generation. Conan Doyle’s Sherlock Holmes, however, has indeed evolved from Doyle’s original 54-volume cannon of Sherlock Holmes novels–to stage, radio, silver screen, and well into the digital age. Dr. Warren Chaney will trace the ebbs and flows of Sherlock Holmes with clips from key sources. Chaney will also address the secret to Sherlock Holmes’ success and the current quintessential deerstalker cap, Inverness cloak and calabash pipe. 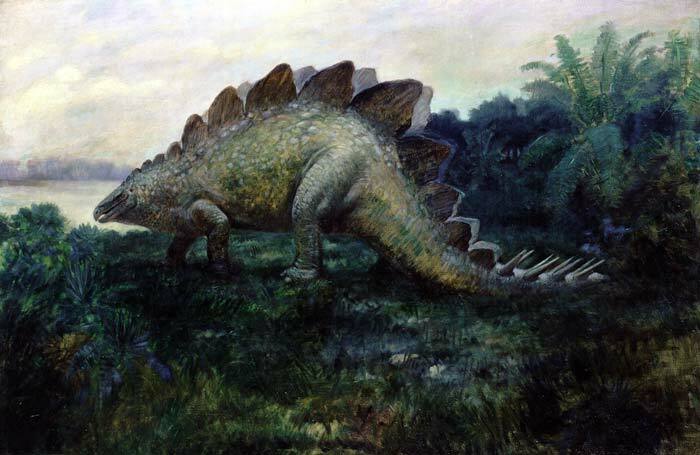 Life restoration of Stegosaurus ungulatus Marsh. By Charles R. Knight, 1901. After F.A. Lucas. Source: Wikimedia Commons. 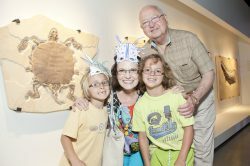 Because the Morian Hall of Paleontology is too large to tour in one evening, we are bringing back this popular series that covers the hall section by section with James Washington–now expanded to 6 sessions. All sessions are Wednesday evenings at 6 p.m. The Jurassic Period ushered in the “Golden Age of Giants,” the time of 100-foot-long diplodocuses and stegosaurs who were skilled swordsmen. Predatory dinos clothed themselves with feathers. Giant sea reptiles cruised the oceans, while winged dactyls hunted for squid. Tickets $25, Members $15 per session. The social set has never looked so smart! Pop on over to our place to mingle, clink your cocktail glass, and break out your best dance moves. Doors open at 7 p.m. for the live band, dancing, cash bars, and the city’s best food trucks. The perfect party, where the science club meets the social set, happens each month from June through August. Hitting this scene is a sure sign of intelligence! Corporate Rate – contact our Corporate Sales department (Martine Kaye or Chris Arreaga) to find out more. Learn more about how to get free tickets to Mixers & Elixirs with an HMNS Catalysts membership! *Ticket pricing not applicable to Spirits & Skeletons. Jan: Come explore the Lunar Eclipse with an educational lunar craft! Mar: Is it venomous or is it poisonous? Or maybe both? Explore the difference between poison and venom with us! June: Make your Dad a great Father’s Day gift while learning about the early printing process! July: Join us this month and take home an awesome balloon creation! Sep: Come make your own interesting and unique pin to take home and show off! Oct: Join us this month and take home an awesome balloon creation! Nov: It’s that time again! Make an ornament to take home or leave with us – come back in December to see it hanging on the HMNS Member Tree in the Grand Hall! Dec: Ever wonder about the weather? That’s great, we love to learn about it! Come explore the atmosphere and our ever-changing weather! 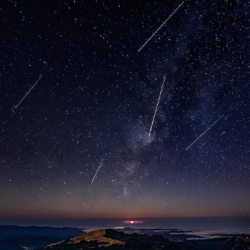 Between 10:00 p.m. and midnight there are usually the early meteors which hit and graze along the top of our atmosphere forming the long tails and beautiful “shooting stars.” The meteors which come closer to the peak hours are short and fast. The Moon phase will be excellent for a good show. If the weather is good, come see if we can spot some of the meteors.